This webinar will offer an abbreviated training in legal epi principles, and will provide examples of legal epidemiology as applied to environmental public health laws. Speakers will highlight variations in state law provisions related environmental public health issues and describe related legal epidemiology methods. A recent study by the California Environmental Health Tracking Program, a program of the Public Health Institute takes a close look at the surveillance and reporting of lead poisoning within the United States. This study takes a fresh look at childhood lead poisoning and the assumption that all children are tested. Learn more at www.cehtp.org/hiddenlead. Colorado Environmental Health Association, Annual Education Conference. NEHA exams to be offered on 9/19. Laws and policies are essential to environmental health issues. Legal epidemiology is an emerging field that blends the practice of developing and implementing health laws with the scientific evaluation of how laws can affect health. Legal epidemiology is defined as: The scientific study of law as a factor in the cause, distribution and prevention of disease and injury. Local environmental health professionals, in particular, should be aware of legal epidemiological tools because it is harder for them to look across jurisdictions for best practices, due to lack of current information on law and policy. Using legal epidemiology can help with these barriers. Local environmental health professionals who conduct surveillance on their own laws and policies can use that information for evaluation and future program planning. 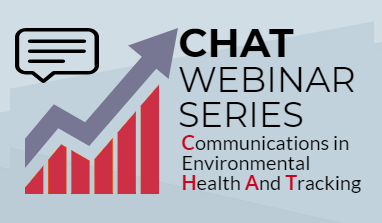 NEHA, in collaboration with CDC's Public Health Law Program, is hosting a 3-part webinar series that examines the use of legal epidemiology to address environmental health. The first webinar will serve as an introduction to legal epidemiology and a discussion of the relationship between environmental health and policy. The second webinar will serve as legal epidemiology training for environmental health practitioners. The third webinar will offer a primer on the Health in All Policies (HiAP) approach and demonstrate how legal epidemiology can be used as a tool in tracking the growth of HiAP laws, policies and programs across the country and identifying current trends. Environmental Public Health Tracking Virtual Conference The National Association of Chronic Disease Directors (NACDD) has partnered with the Centers for Disease Control and Prevention (CDC)/Environmental Health Tracking Branch (Tracking Branch) to host a virtual conference to 1) raise awareness and knowledge about the environment’s role in asthma and other chronic diseases and 2) highlight collaboration opportunities between state leaders, decision makers and practitioners working in environmental health and chronic disease prevention.